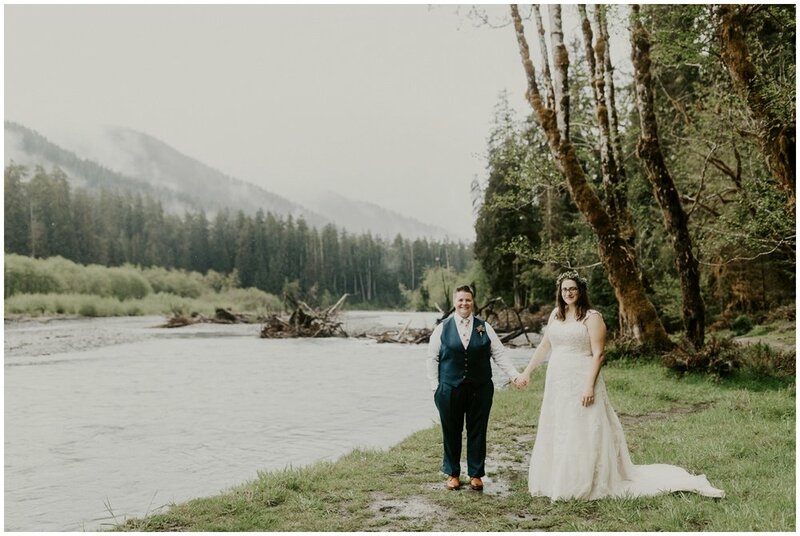 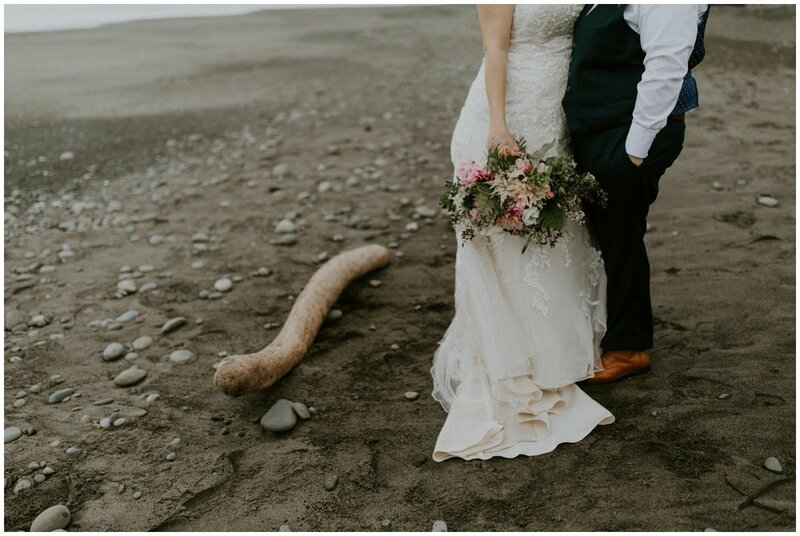 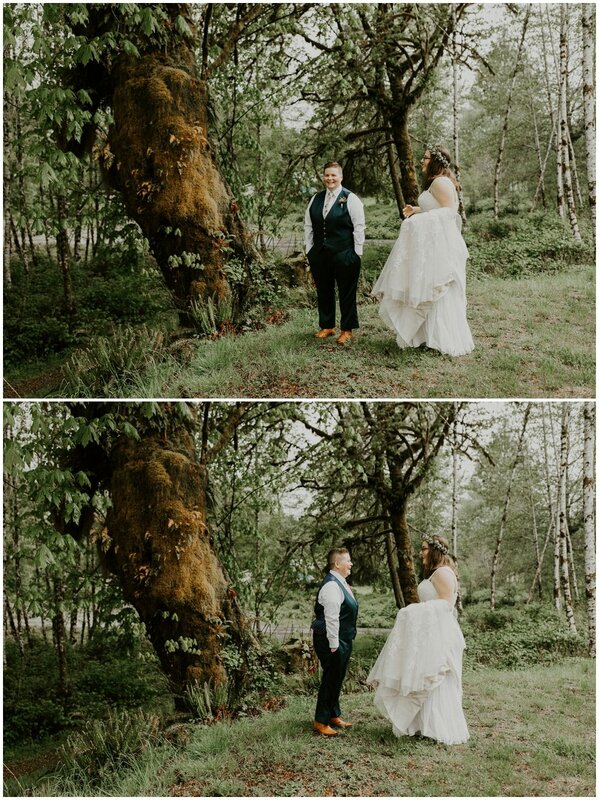 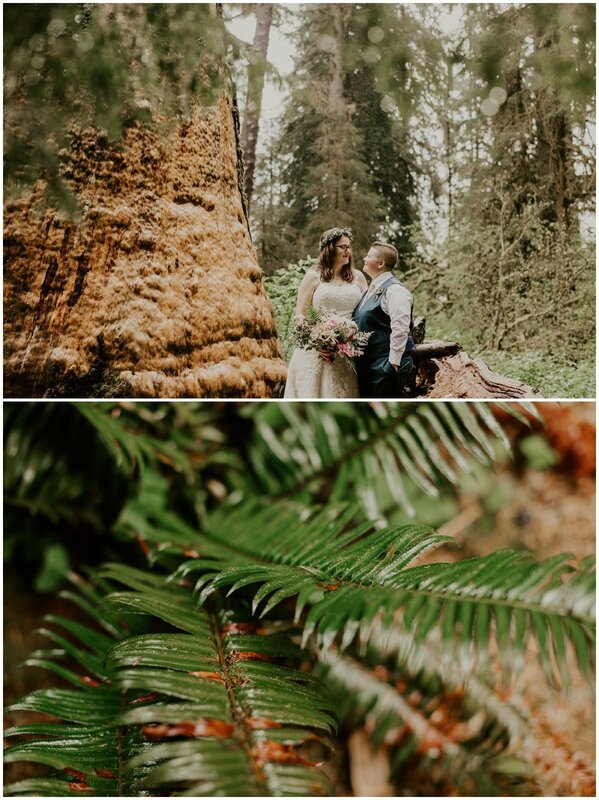 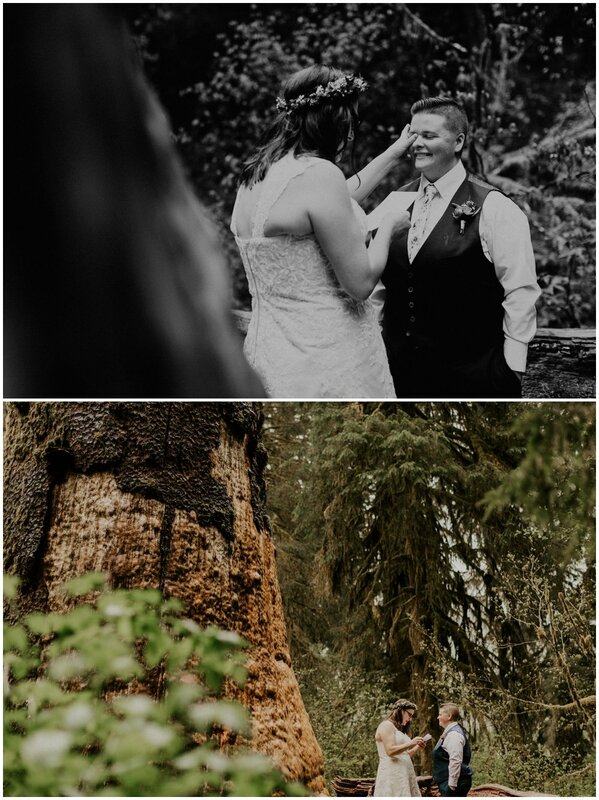 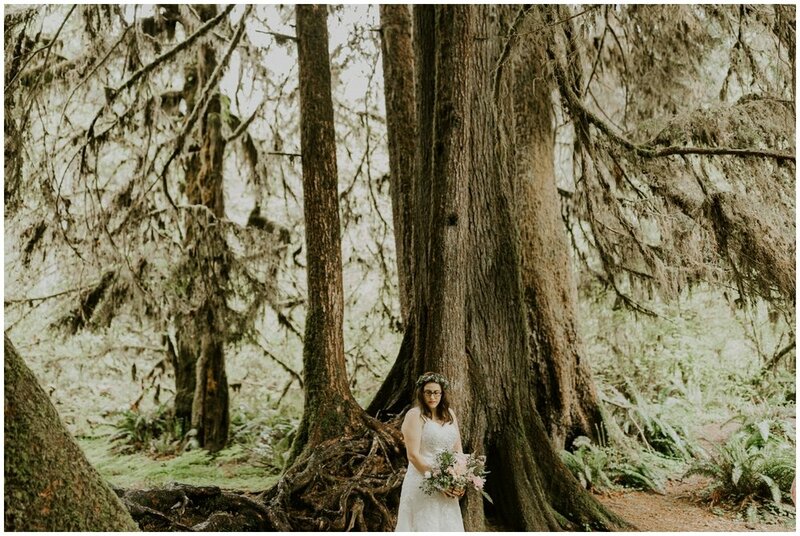 One of my best friends eloped in the Hoh Rainforest of Olympic National Park, and invited me along to capture their day. 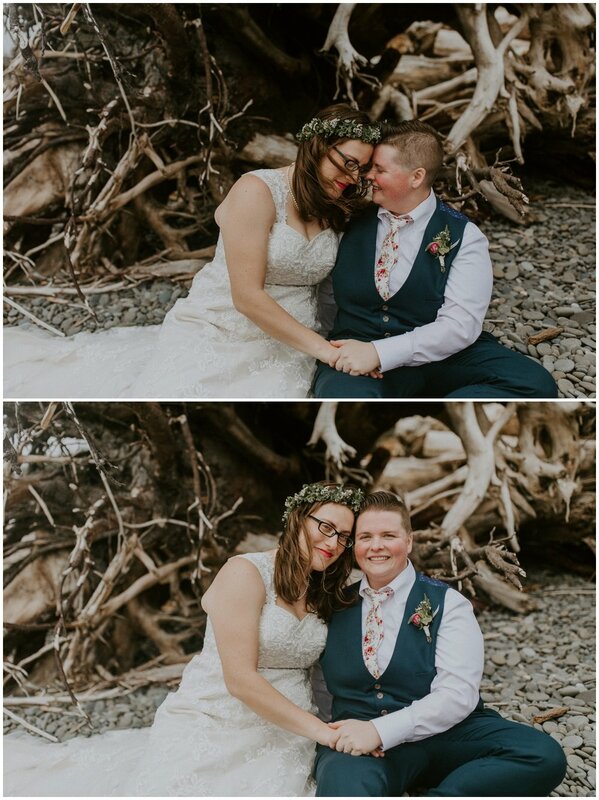 Danielle and Caitlin are one of the most fun-loving couple I've ever met, an inspiration, an all around joy to be around. 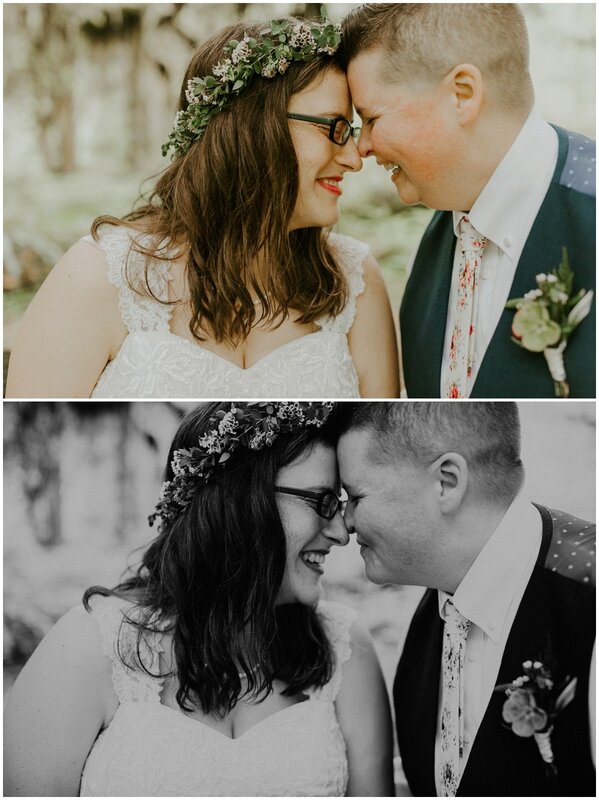 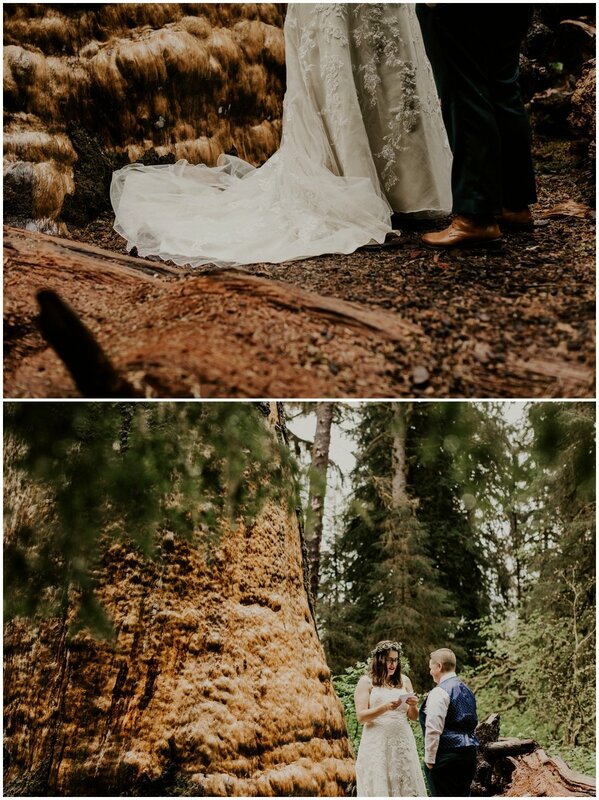 They booked a cabin, got ready together in the morning, and had their first official look just outside under a tree. 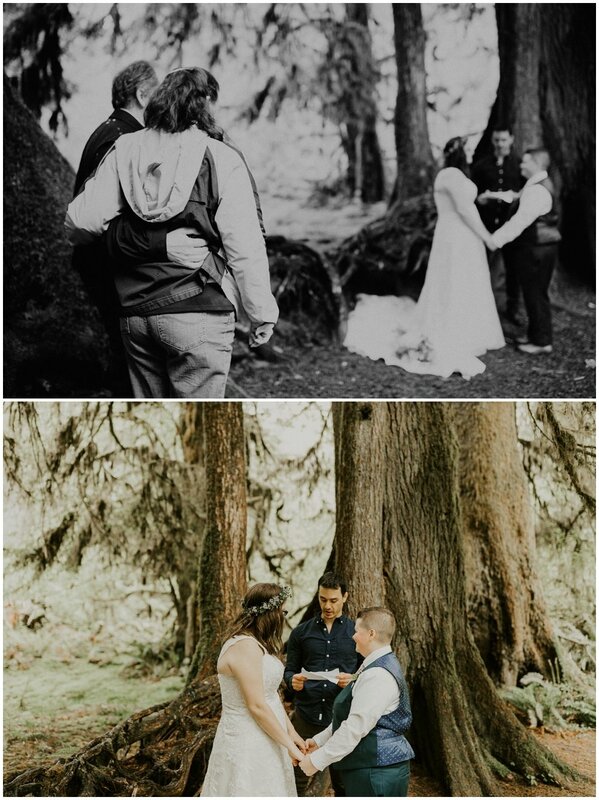 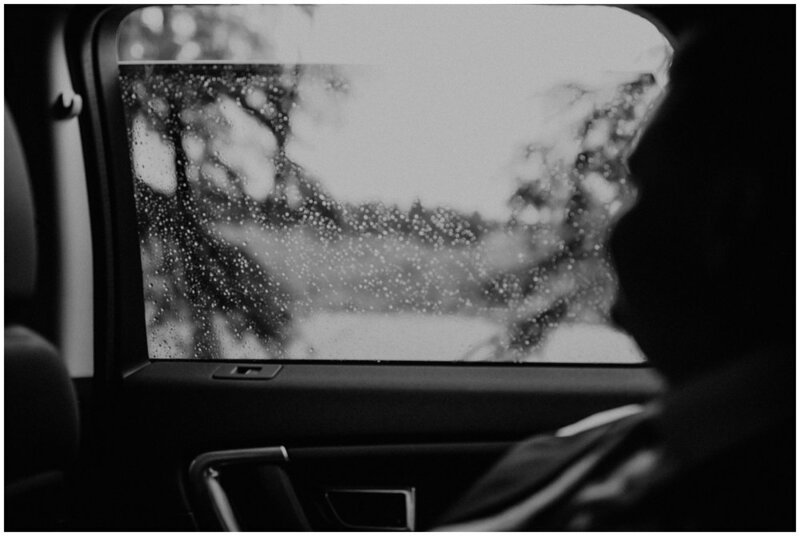 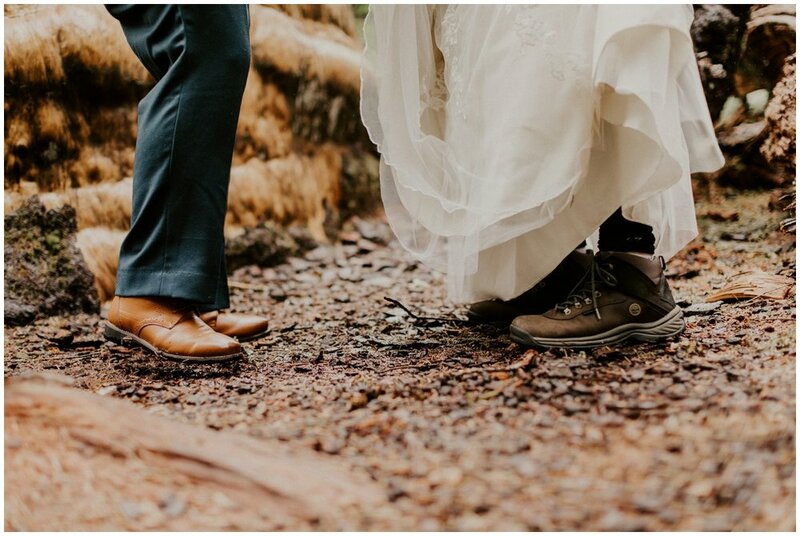 From there, we packed into the rental car and headed to a special spot in the park where they said their vows privately, danced, and then hiked a mile to the Hall of Mosses where they were wed in a light rain. 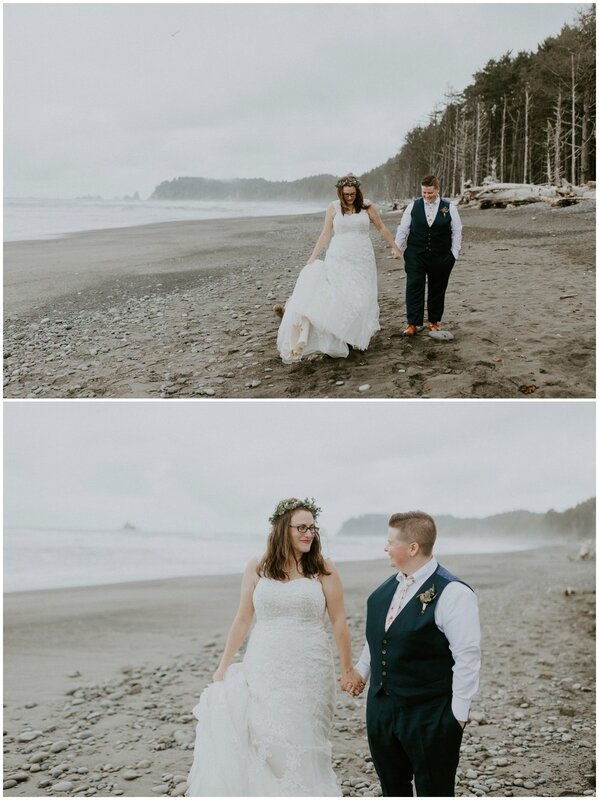 Afterwards, we headed to the Pacific where we ran through the foggy afternoon, getting our feet wet in the ocean and chasing seagulls. 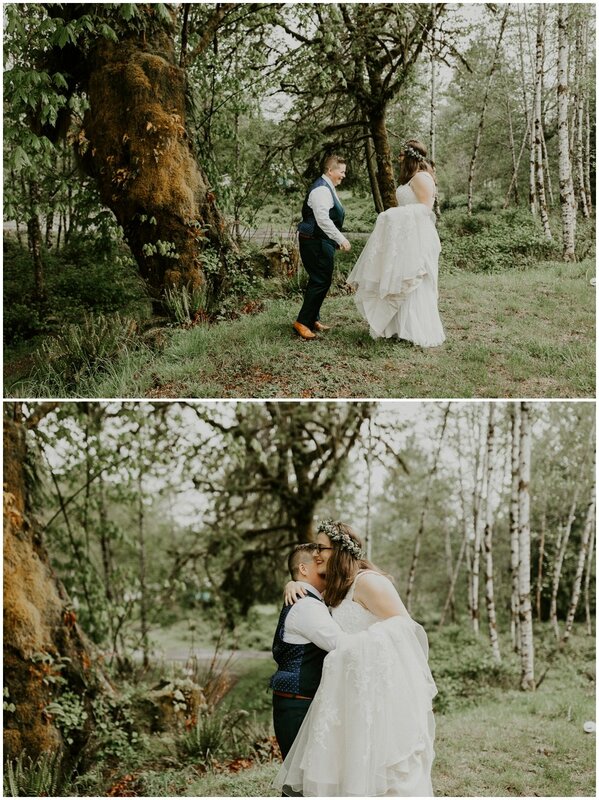 I am forever grateful and continually enamored with being able to capture such love. 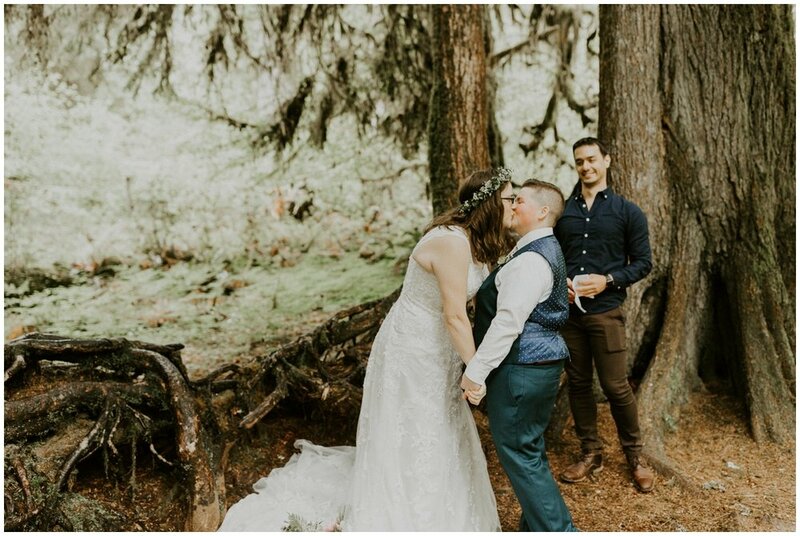 And not just love, but two people's quirks and jokes, funny faces and terrible dance moves, their deep gazes and belly laughs. 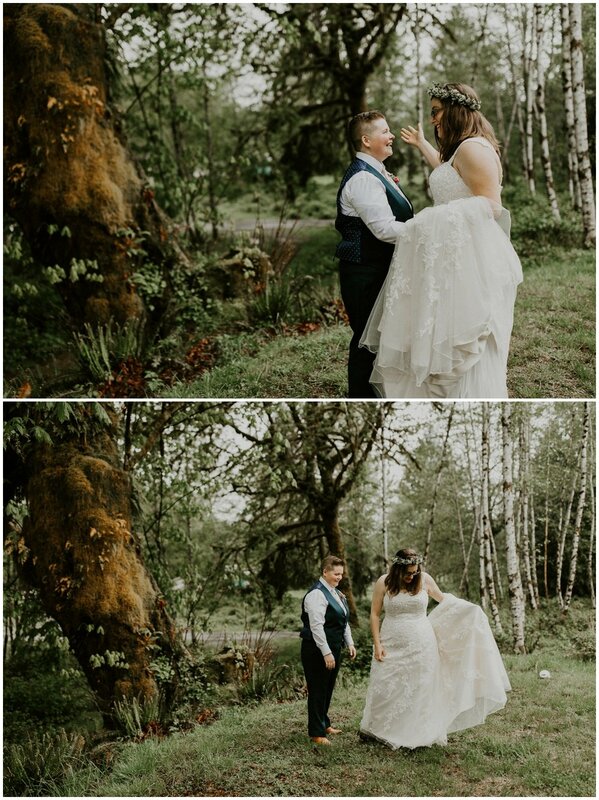 The everything in-between: where the story lies. 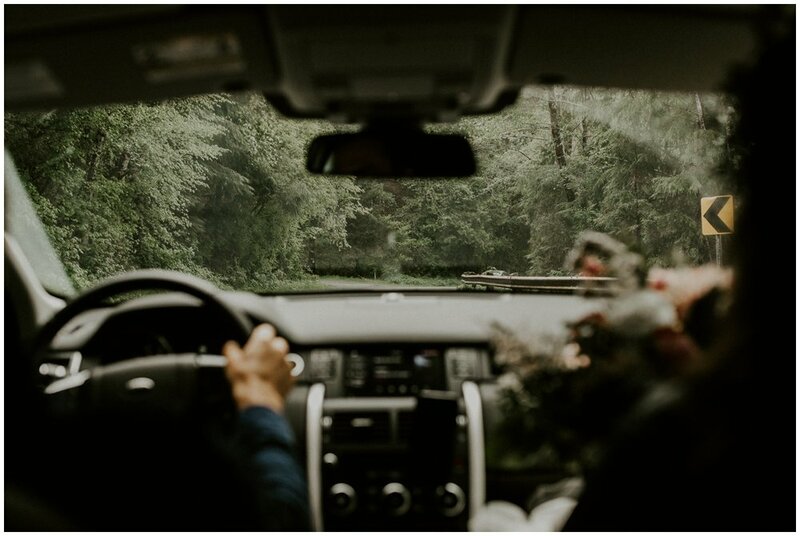 Where love roots. 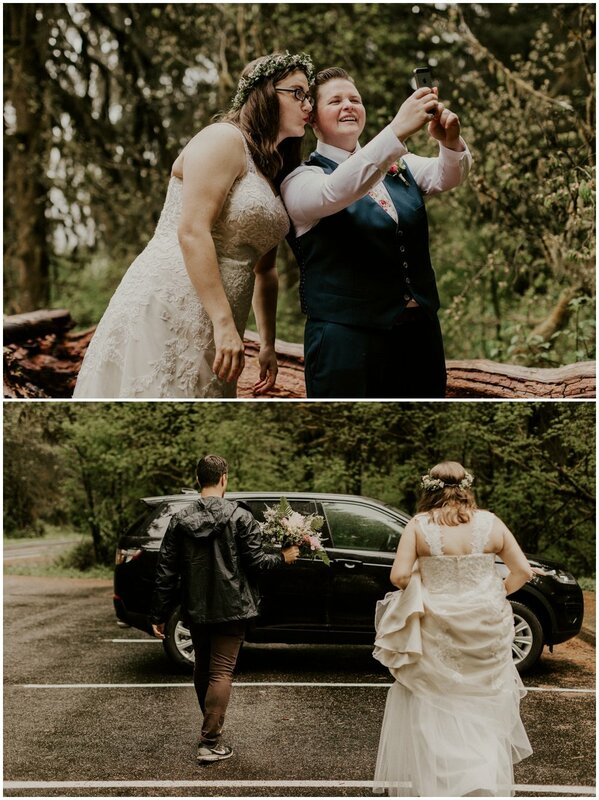 Thank you, Danielle and Caitlin, for blessing me with such a friendship, and for trusting me with the day that marked your forever.